I cut out a skirt for me today, and aprons for my boys. They will both be cute, but especially the one for my younger boy. I think I'll trace a bigger pattern and make another one for me from the rest of the fabric. I've been making bread every week for 4 weeks now and it would be nice if I had an apron. I'm still thinking about making a couple of Wee Bunnies and tomorrow I'm also going to cut out the pj shorts for my son and his friend. 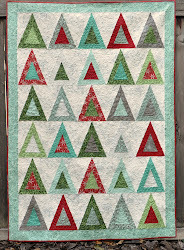 Evergreen State Quilt Pattern Now Available! This is a Flickr badge showing public photos and videos from vickivictoria. Make your own badge here.